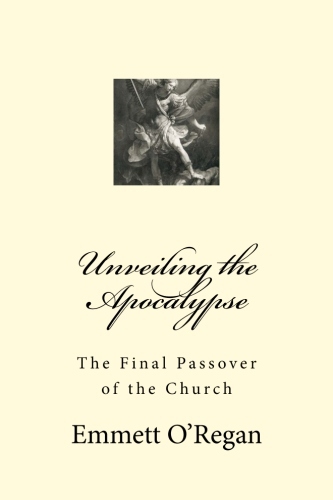 "the sun became black as sackcloth..."
I argue in Unveiling the Apocalypse that the great signs described as appearing in the sky in Rev 12:1-4 is a dramatisation of the astronomical events depicted at the opening of the sixth seal. Many ancients thought of a solar eclipses as a dragon attempting to devour the sun (see here for example). In Rev 12, the Woman represents the Sun itself, the Red Dragon attempting to devour the Woman's child is the moon, and the Dragon sweeping a third of the stars from the sky obviously relates to the stars falling to earth. So the "Divine Drama" of Rev 12 appears to be a celestial display reflecting events occurring in the heavenly sphere, and signify on earth the occurrence of the "war in heaven" described in Rev 12, which ultimately results in Satan's expulsion from heaven and confinement to the earthly realm. Therefore, rejoice, O heavens and you who dwell in them! But woe to you, O earth and sea, for the devil has come down to you in great wrath, because he knows that his time is short!” And when the dragon saw that he had been thrown down to the earth, he pursued the woman who had given birth to the male child. (Rev 12:12-13). In the book, I show how the signs that occur at the opening of the sixth seal describe a combination of events including an earthquake, a solar eclipse (the Sun becoming like "black as sackcloth", a lunar eclipse (when the moon appears with a blood-red hue), and a meteor shower. 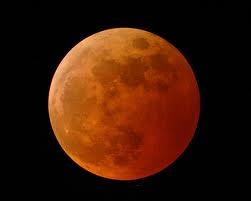 "the full moon became like blood..."
My argument is that the moment of Satan's expulsion from heaven and confinement to the earthly realm would therefore be heralded by a combination of portents on earth - an earthquake, a total solar eclipse, a total lunar eclipse, and a major meteor shower. "the stars of the sky fell to the earth as the fig tree sheds its winter fruit when shaken by a gale..."
This "sign of the Son of Man" appears to be related to the original "sign of the Son of Man" - which was the Star of Bethlehem. Most scholars concur that the Star of Bethlehem was a combination of unusual planetary occurrences, and was most likely associated with a triple conjunction of Jupiter and Saturn. So with this unique combination of astronomical prodigies, it seems that we can attempt to pin an exact time for the moment of the expulsion of Satan from heaven - which I argue coincides with the implementation of the prophecy of the mark of the Beast. The mark of the Beast is a parody of the sealing of the 144,000 in heaven that occurs after the opening of the sixth seal (see Rev 7:1-8). Since the sealing of the 144,000 occurs as part of the sequence of events associated with the sixth seal, we can safely assume that these events are cotemporious with the mark of the Beast. Therefore the eschatological astronomical phenomena described at the opening of the sixth seal not only heralds Satan being cast to earth, but also the moment the prophecy of the mark of the Beast is implemented. Each of the events described at the opening of the sixth seal occur on a regular enough basis - but it would be highly unusual for them all to occur within a short period of time, and all centring on a single location. If we are to look for various astronomical signs that took place around the time period that the fall of Satan was prophesied to take place (as mentioned in the previous post), we find that every omen described in Rev 6:12-13 and Matt 24:29-30 all occurred within a one year period between the years 1999-2000, and that each of these signs appear to have centred around Western Turkey - which is the location of the Seven Churches of Asia Minor to whom the Book of Revelation was originally addressed. On 11th August 1999 the path of the total solar eclipse passed between the location of the Seven Churches of Asia Minor, and the Turkish city of Izmit (see the chart here). Six days later, on the 17th August 1999, a huge earthquake struck Izmit killing over 17,000 people (see here). Later that year, in November 1999 (the date of the release of the first WAP phone), there was a Leonid meteor storm (which is the most prolific type of meteor shower known to astronomy - see here) which occurs every 33 years, and in January 2000 there was a total lunar eclipse, turning the moon blood red (see here). After this, on 5th May 2000 there was a rare alignment of the seven visible planets that were known to the ancients (see here), which was followed shortly thereafter on 30th May by a Great Conjunction of Jupiter and Saturn (which as we noted above, is associated with the Star of Bethlehem see here). Did these various signs announce the expulsion of Satan from heaven, and the implementation of the prophecy of the mark of the Beast? This has to be the most symbolic total solar eclipse ever! The path of totality then moved from Rimnicu Vilcea in Romania to Turkey, somewhere between Izmit, the site of ancient Pergamum (the "throne of the beast"), and the site of the Battle of Manzikert. I'll have to try to find a more detailed map of the path of the eclispe. “‘I know where you dwell, WHERE SATAN'S THRONE IS. Yet you hold fast my name, and you did not deny my faith even in the days of Antipas my faithful witness, who was killed among you, where Satan dwells." "The fifth angel poured out his bowl ON THE THRONE OF THE BEAST, AND ITS KINGDOM WAS PLUNGED INTO DARKNESS. People gnawed their tongues in anguish and cursed the God of heaven for their pain and sores. They did not repent of their deeds." I'm going to have to research this further and put the material up on a blog post. "Then some of the scribes and Pharisees answered him, saying, “Teacher, we wish to see a sign from you.” But he answered them, “An evil and adulterous generation seeks for a sign, but no sign will be given to it except the sign of the prophet Jonah. For just as Jonah was three days and three nights in the belly of the great fish, so will the Son of Man be three days and three nights in the heart of the earth. The men of Nineveh will rise up at the judgment with this generation and condemn it, for they repented at the preaching of Jonah, and behold, something greater than Jonah is here. The queen of the South will rise up at the judgment with this generation and condemn it, for she came from the ends of the earth to hear the wisdom of Solomon, and behold, something greater than Solomon is here. This passage is directly after Jesus speaking of Satan being cast out, and the binding of the strong man! This site is just West of As-Sulymaniyah in Iraq and was also in the path. Not sure what to make of it because I lack knowlege of the Medes. I wonder if it means anything to you. "Eclipses have been interpreted as omens, or portents. The ancient Greek historian Herodotus wrote that Thales of Miletus predicted an eclipse that occurred during a war between the Medians and the Lydians. Both sides put down their weapons and declared peace as a result of the eclipse. The exact eclipse involved remains uncertain, although the issue has been studied by hundreds of ancient and modern authorities. One likely candidate took place on May 28, 585 BC, probably near the Halys river in Asia Minor. An eclipse recorded by Herodotus before Xerxes departed for his expedition against Greece, which is traditionally dated to 480 BC, was matched by John Russell Hind to an annular eclipse of the Sun at Sardis on February 17, 478 BC. Alternatively, a partial eclipse was visible from Persia on October 2, 480 BC. 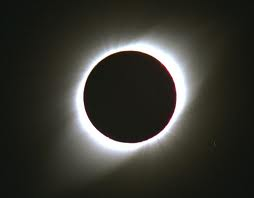 Herodotus also reports a solar eclipse at Sparta during the Second Persian invasion of Greece. The date of the eclipse (August 1, 477 BC) does not match exactly the conventional dates for the invasion accepted by historians." A unifying theme here seems to be the "sackcloth", the "three days" and the "forty days". "Then the word of the LORD came to Jonah the second time, saying, “Arise, go to Nineveh, that great city, and call out against it the message that I tell you.” So Jonah arose and went to Nineveh, according to the word of the LORD. Now Nineveh was an exceedingly great city, three days' journey in breadth. Jonah began to go into the city, going a day's journey. And he called out, “Yet forty days, and Nineveh shall be overthrown!” And the people of Nineveh believed God. They called for a fast and put on sackcloth, from the greatest of them to the least of them. The Medians and the Lydians laying down arms could symbolise the repentance of Nineveh, and the era of peace. Although you can't see it in writing on the map, I cross checked, and the eclipse also passed through Amiens, France, (the city of St. Peter the Hermit - who preached the First Crusade) and also through the city of Reims in Champagne - which contains the cathedral where the kings of France were crowned (Great Monarch?). France is seeing some unprecedented violence this year. Things don't look too good for this nation. If the eclipse traced a path through this country, then I fear more is to come. ISIS recently destroyed Jonah's tomb in Nineveh - again, along the path of the eclipse. Apart from France, what other country(ies) lie along this path? Other nations include Germany, Austria, Hungary, Romania, Turkey, and Syria.